Plans to break ground on the Publix at Matt Shopping Center, located at the intersection of Bannister Road and Matt Highway/Ga. 369 are for April 11, 2019. 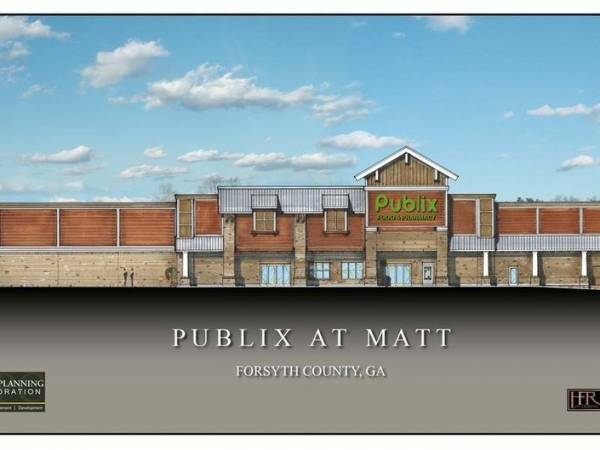 The 82,000 square-foot retail plaza will be anchored by a 48,500 square food Publix store. The store is schedulted to open in Summer of 2020. There will be a mix of other services and restaurants in the center. Signed leases at the plaze include Great Clips, Nail Talk & Tan, J. Christopher's and AT & T.